★ Skrill Casino ★ MobileWins™ Casino - Play Online Now! Deposit a minimum amount of £/$/€ 20 using Skrill and receive a Welcome Bonus 200% up to $/£/€100 on your first deposit! Deposit using Skrill and get a Welcome Bonus 200% up to $/£/€100! 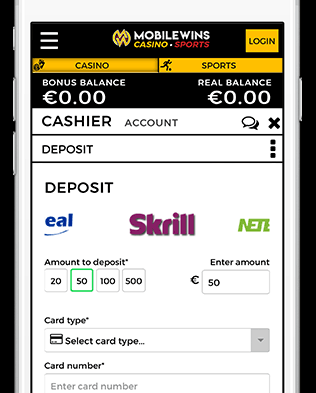 Deposit using Skrill at MobileWins Casino and enjoy over 800 games! Skrill at MobileWins Casino – Welcome Bonus of 200% up to £/€/$100! MobileWins Skrill Casino lets you play whenever you like using Skrill. 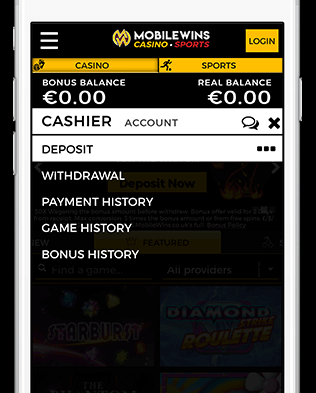 All you need to do is make a deposit and you receive a Welcome Bonus 200% up to $/£/€100! Let’s say you deposit £/€/$20 via Skrill. After your initial deposit, we will immediately credit your account with another £/€/$40! Play with your 200% match up bonus! Any category from slots to table games! 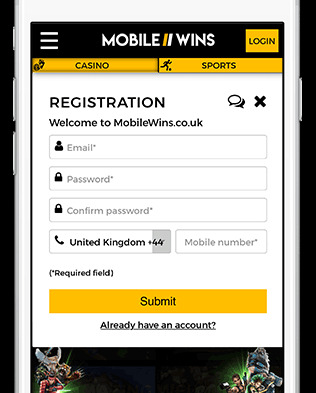 Make use of our wide selection of games on MobileWins. Read the 3 easy steps below and start playing instantly! Now simply proceed and fill in the registration form! Don’t forget to enter your phone number as you will need it to secure and verify your account! Tick “I acknowledge the above information” and submit. KAPOW! You have just make a successful Skill deposit and instantly doubled your deposit! Play with double now and enjoy!